The EU has imposed import duties of up to 73.7% on cheap Chinese Steel being imported into the European Union; the penalty has come about in response to manufacturers being forced to cut jobs after a flurry of cheap imports from China. Britain has been one of the worst hit places within the EU, with thousands of jobs already being lost this year and many more seriously under threat. Many of the industry leaders put cheap imported steel as the primary reason for this claiming that such cheap prices are making it increasingly difficult to find buyers domestically. 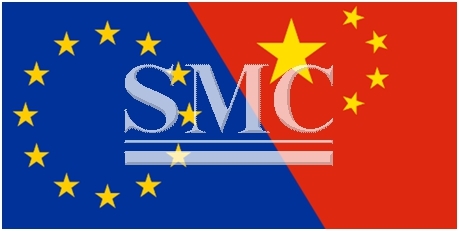 The EU has agreed to impose import duties of between 13.2% and 22.6% on Chinese hot-rolled steel, which is used in pipelines and gas containers, and 65.1% and 73.7% on heavy plates, which are used in civil engineering projects. UK Steel, the trade body for the industry has welcomed the much needed tariffs but has warned that the levy on hot-rolled steel might still not be enough and could fail to deter the dumping of cheap steel. Martin, the international trade spokesman for the Socialist and Democrats group in the European parliament, said: “The commission has recognized that Chinese dumping is having a real, damaging effect on EU steel producers and the communities supported by them. Regardless of if the tariff is high enough; it is going to be an interesting few months within Europe to see the effects of the newly installed charges. One would assume that if the results do not meet expectation, then EU will be quick to impose further tariffs.